The abbreviation CNC stands for Computer Numerical Control which means that it's a saw that allows you to enter the specific values for accurate cut in the work piece that has been subjected. It cuts the work pieces accurately according to the specification that has been specified. Anything that you have in mind can be sculpted in the wooden work piece with the proper specification that is fed to the computer. If you are interested in any kind of wood craft then this is specifically for you. 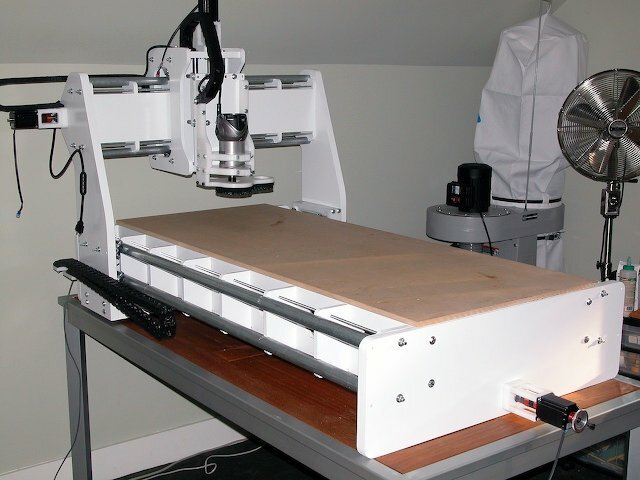 There are a number of CNC machines but these may cost you around $2500, so as substitutes for these expensive machines come the DIY CNC machines. 1.The outline of working is that the tool is connected with a computer and when the specific values are given, the tools start to cut the work piece. Unlike other machines this machine has higher accuracy. Initially the usage of this machine will be difficult and when you get used to the machine then very beautiful projects can be done very easily. 2.The assembly of the machine takes quite awhile. After the materials are placed, the smart saw can be connected with the computer through the USB port. It follows the instructions given by the computer and moves accordingly as per the received information. The only thing that you have to do is to feed all the information that is needed in the computer in accordance with your model. This information is then processed and the sculpting procedure starts on the work piece that is attached to the machine. The tools move in multiple directions creating the sculpture with 100% accuracy. The instructions must be read very carefully and you should know what you should do after each step because missing even one step of the program won't give you the desired results. Always working with the wood is quite difficult but with this machine it is made easy for people to make all kinds of work that is associated with wood. With the help of DIY CNC machine all your wooden models will be 100% accurate and also you can finish the job by spending less money and also less time.